Definition at line 566 of file ketypes.h. Definition at line 567 of file ketypes.h. Referenced by KeInsertByKeyDeviceQueue(), KeInsertDeviceQueue(), KeRemoveByKeyDeviceQueue(), KeRemoveByKeyDeviceQueueIfBusy(), and KeRemoveEntryDeviceQueue(). Definition at line 569 of file ketypes.h. 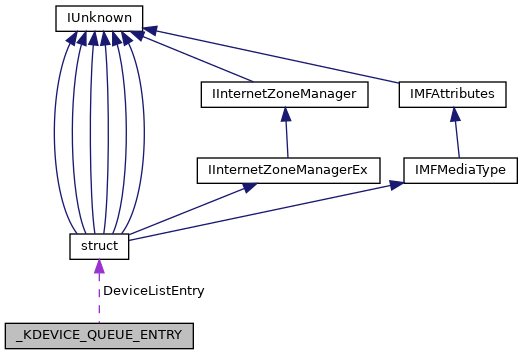 Referenced by KeInsertDeviceQueue(), KeRemoveByKeyDeviceQueue(), KeRemoveByKeyDeviceQueueIfBusy(), KeRemoveDeviceQueue(), KeRemoveEntryDeviceQueue(), and Tests_Insert_And_Delete(). Definition at line 568 of file ketypes.h. Referenced by KeInsertByKeyDeviceQueue(), KeRemoveByKeyDeviceQueue(), KeRemoveByKeyDeviceQueueIfBusy(), and Tests_Insert_And_Delete().